I custom ordered this from Rachel at Have You Any Wool, which is one of my favorite shops on Etsy. It’s an obscenely soft blend of merino, cashmere, and nylon. This was bought with a certain project in mind, one I hope to start on once the weather starts cooling down. That’s such a beautiful combination of colors! Kate that looks divine! 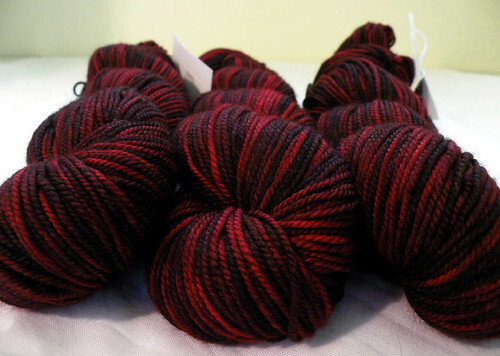 “rage, rage, against the dyeing of the night” to paraphrase a certain poet!